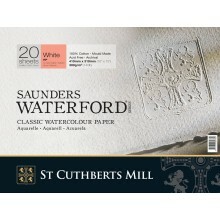 Saunders Waterford, from St Cuthberts Mill in England, is a very high quality watercolour paper, that comes with the RWS' endorsement. Mould made from 100% cotton, gelatine surface sized, watermarked, 4 deckle edges and made to high archival standards. 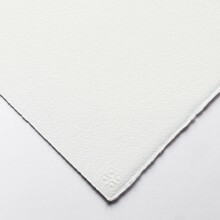 Its attractive surface is created using natural woollen felts giving an exquisite paper that’s very stable and durable.